Under a new policy, the University of North Carolina’s Center for Civil Rights is forbidden from representing minority and low-income clients in court. In 2011, North Carolina’s Brunswick County rezoned a parcel of land with the intention of expanding a landfill. The land in question lay in Royal Oak, a predominantly African-American neighborhood named for the swamp that previously occupied the area. The neighborhood was already home to a handful of polluting facilities that served the majority-white county, including other landfills, a waste-transfer station, and a sewage-treatment facility. A local citizens’ association sued, alleging that the rezoning reflected a pattern of racially discriminatory land-use decisions. They were represented by the Center for Civil Rights at the University of North Carolina’s law school. Long is a former board member of the Civitas Institute, a conservative think tank connected to North Carolina’s Republican kingmaker Art Pope. Civitas and a number of other Pope-funded organizations have sought for years to remake UNC, long one of America’s most prestigious and accessible public-university systems. As I reported in 2015, they’ve been aided by the Board of Governors, an “overwhelmingly” white, Republican body appointed by the North Carolina state legislature. In recent years the board has pushed through a number of startling changes to the UNC system, from firing a popular UNC president to capping spending on financial aid, while raising the salaries of top administrators. The board has also shown an appetite for suppressing certain types of academic inquiry, shuttering academic centers dedicated to poverty and economic justice, biodiversity, civic engagement, and now, possibly, civil rights. The board has also shown an appetite for suppressing certain types of academic inquiry, shuttering academic centers dedicated to poverty and economic justice; biodiversity; civic engagement; and now, possibly, civil rights. Blocking the work of the Center for Civil Rights became something of a pet project for Long, who did not return requests for comment. “It’s really not an academic center at all; it’s an advocacy organization,” he complained during a board meeting in 2015. Reportedly Long went on to question the center’s focus on racial equality, wondering why the center didn’t pursue “other civil rights” like the right to bear arms. Since proposing the litigation ban earlier this year, Long has been on a crusade to ensure its passage, lobbying his colleagues, writing memos, even soliciting a letter from a pork-industry group critical of the Center for Civil Rights. That letter stands out conspicuously amid the other public comments the Board of Governors received, which were overwhelmingly supportive of the center’s work. More than 600 law-school deans, professors, and administrators from around the country wrote to oppose the litigation ban. Members of the board voting in favor of the ban argued that the Center for Civil Rights had strayed from its academic mission, and that it isn’t appropriate for an arm of a public university to litigate against other government bodies. (The policy passed Friday prohibits the center from litigating against private entities, too.) Mark Dorosin, the center’s managing attorney, believes that it is the Board of Governors that has strayed from its academic mission. “The political agenda and ideological mission of the Board of Governors has been made clear. I think its original role as the board overseeing an educational institution has really taken a distant back seat to that political agenda,” Dorosin said when we spoke Monday. In Dorosin’s view, the harm will fall “on black and brown people, low-wealth people in North Carolina” who benefit from the center’s pro bono work, as well as students at the law school, who will lose an opportunity for hands-on legal education. It’s been suggested that the Center for Civil Rights reform as a legal clinic, which could serve the same purpose but would be exempt from the board’s litigation ban. Dorosin said that it’s a viable option for the law school to pursue. The center is funded entirely by grants and other private sources, giving the Board of Governors little power in that regard. 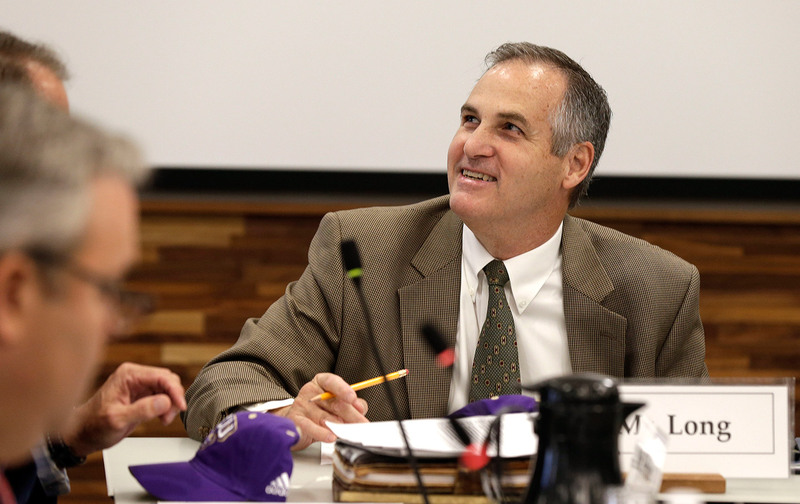 Still, Dorosin has “no illusions” about the board’s desire to end the center’s work for good. “I think its just a matter of time before one of these clinics takes on a case that upsets somebody on the board, and then they’ll be on the chopping block next,” he said.